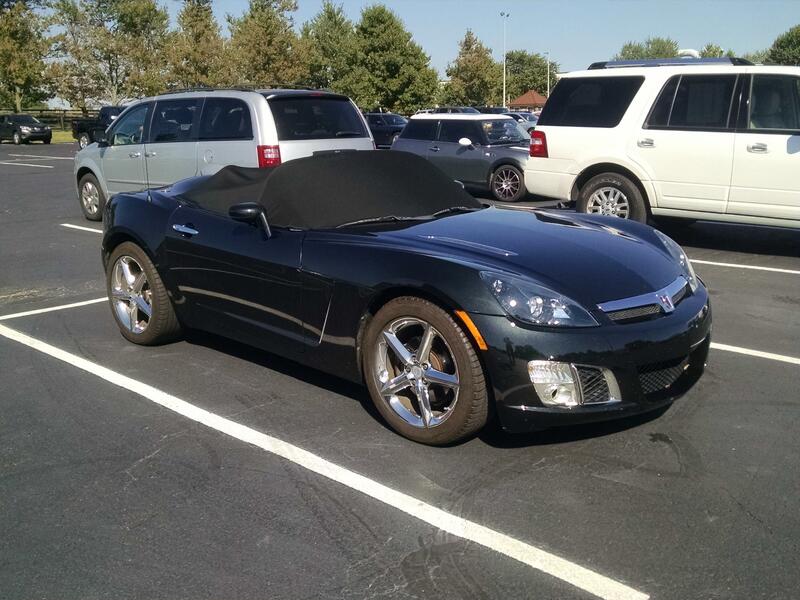 Saturn Sky Forums: Saturn Sky Forum > Saturn Sky Discussion > General Saturn Sky Discussion > Leave the Top Down? Wondering how many people leave their top down when shopping or at work? If I am just running in to grab something or not away too long I will leave it down. 8 hours at work I put mine up. I do but I normally put my Kappabrella on! That’s neat. Where could I look for one? I got mine from DDM Works but you can probably find one on Ebay. Many believe the top develops wrinkles if not 'up' a lot or majority of the time. We have no problem with the way the top looks when we do put it up, nor do we see an abnormal amount of any wrinkles to the top's rear corners. Our top is in the trunk unless we are on the road driving long distances. 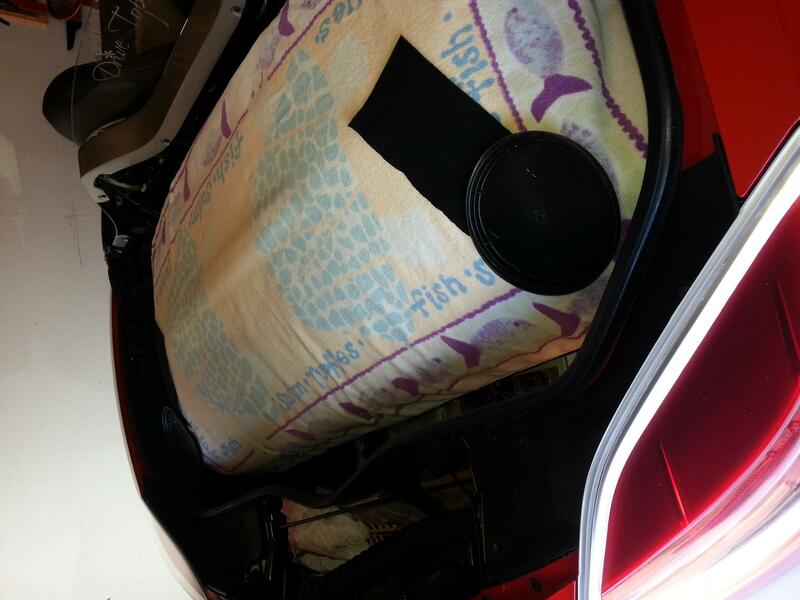 Otherwise, it is in the trunk and padded from any trunk lid wear (by the trunk lid bumpers of each side of the lid). I pretty much always leave it down, but use my cockpit cover. 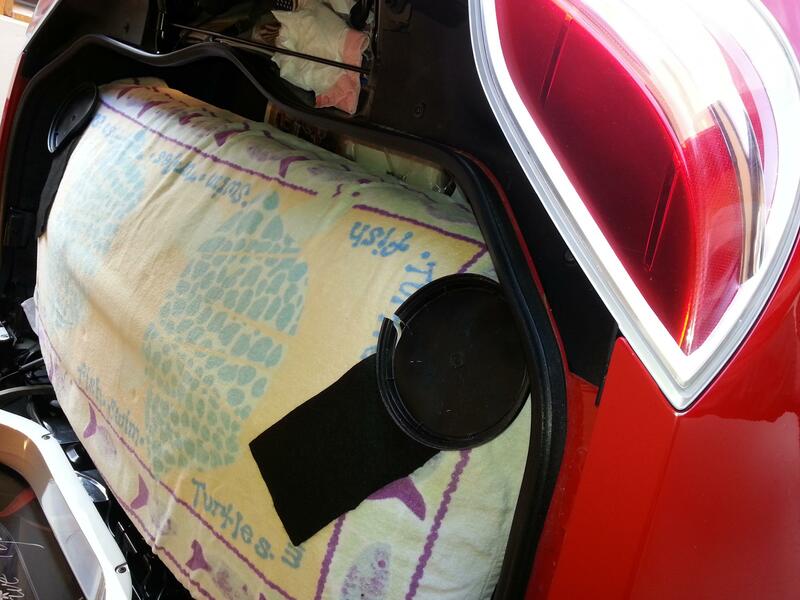 A bit on how I protect the top from the lid rubber bumpers on each side of the trunk lid ....... it has been known that the fixed-rubber bumpers of the lid hold-down's (first photo below) can wear a hole in the top. Mostly up because I'm usually going to leave it somewhere for a while and don't want a bunch of stuff falling in the interior. (And I don't have a cover for that...and believe putting on such a cover is even more of a hassle as putting up the top). If I'm on a run, I'll leave the top down if it is already down. If I'm around town and run in someplace where I can see/hear the car, I'll leave it down with the windows up. I have an alarm installed with a proximity sensor so if someone reaches in the car when it's on, the alarm will go off even if they don't touch the car. 1) Four across the front of the trunk. 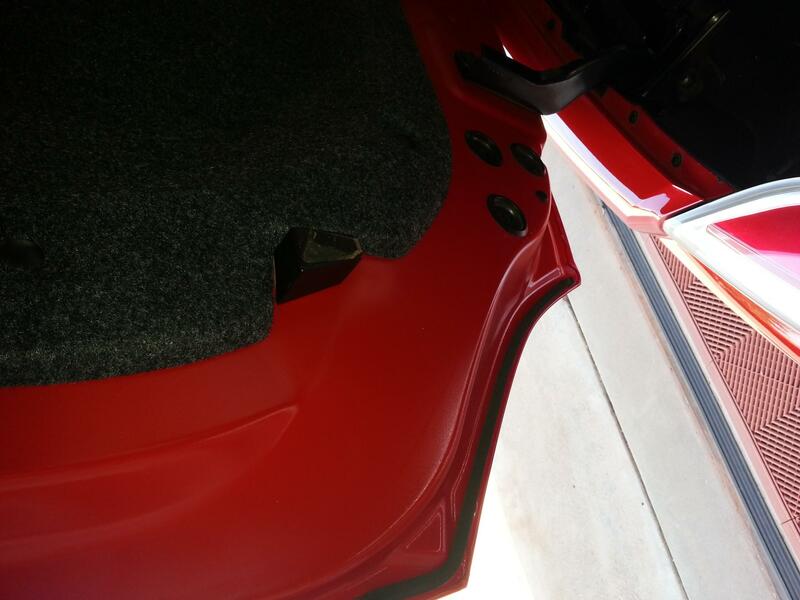 These are screwed into the existing holes, and are where the GM tonneau cover attaches. 2) Three across the base of the windshield. These are riveted to aluminum discs that are then attached using body molding tape. 3) One under each mirror, also on aluminum discs and also attached with tape. I can ake some detailed pictures if anyone is interested. The best solution in my opinion is just to take the stupid things off. They serve no purpose. The cover takes about half as long as the top, up or down, even less if the passenger knows what is going on. I also like that the cover keeps the sun off of the interior for less fading and less excessive seat heating. My main concession to leaving the top down is to lock the doors to arm the alarm, and the interior trunk release has been altered to not function with the doors locked. The Kappabrella does not require snaps. The back closes in the trunk and the front hooks around the wipers. John, I don't disagree about taking them off. Except, why were they deemed necessary in the beginning? As to that reason, there must have been some idea why in the beginning. And so as to an ORIGINAL CAR idea, I've kept it that way. But I see the bumpers as holding the top secure from movement as about the only technical reason. I went with snaps when I made the cover because I wanted a more fitted look than the Kappabrella. 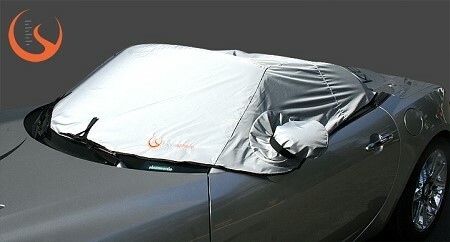 They also keep it in a good position in the trunk so that it is quicker and easier to put on and take off. I believe that they were intended to provide leverage when closing the trunk over the folded top, but I have found that simply leaning on the rear corners of the top when I fold it down for the first time takes care of that problem nicely. As far as preventing movement, I don't see that as an issue because my NA has about 90k miles on it without the bumpers and I see no evidence of anything moving wearing or anything else. I do leave the cockpit cover attached to the outer snaps when the top is down, so it acts as a cover for the top to keep it away from the underliner of the trunk lid. I still have mine, so if originality is ever an issue I can reinstall them. meanwhile I am keeping my top original and un-holed for very little effort. Good idea. I see you also put a blanket over your top.